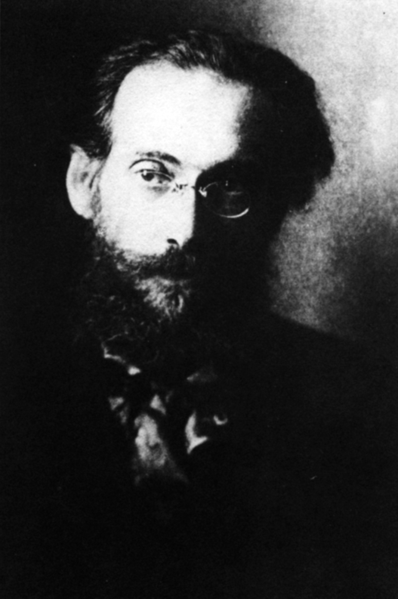 Landauer’s medievalism was special, however, in the sense that he rejected its feudal and authoritarian components to embrace, in socialist-anarchist fashion, the “organic”, free-associative communities built up by guilds. Here was a fine example, Landauer argued, of the true spirit of the Volk materializing into blueprints for communal organization. Surely, at this moment in time, history had reached a high point, he thought. It all went downhill from 1500 onward, what with capitalism and science and all that modern rubbish. (As a medievalist, I heartily applaud this, though I don’t share the thought entirely). Anyway, I was really surprised to read that Landauer’s utopian plans of 1919 included a ban on the study of history. It seems to run counter to his broader philosophy. Was it simply in protest of the sort of history teaching current at Munich University at the time? The place was a hotbed of nationalism in the Wilhelmine era, and history faculty in many parts of Germany had been among the strongest supporters of the war aims. Or did he seriously think of the regime as the new utopia, the “end of history”? But why would the study of history then be “hostile to civilization”? Hostile to the Revolution? What would the intellectual genealogy of this plan be? I am puzzled, and Evans’s notes, usually very good, have been no help so far in this case. If anyone has a clue, please comment. Coda: I should perhaps add that poor Landauer did not survive the anarchist revolution for long. Thugs of the local Free Corps—forerunners of the Nazi storm troopers—beat him to death on May 2, 1919. The murder of this remarkable scholar and pacifist came as a shock to the Dutch poet and militant communist, then socialist, Henriette Roland Holst (d. 1952) who called him a “martyr” in her biography, Gustaaf Landauer: Zijn levensgang en levenswerk (Amsterdam: Van Loghum Slaterus, 1931). Coincidentally: she was a close friend of the Dutch medievalist Johan Huizinga (definitely NOT a militant socialist—at least not as an adult), whose famous Waning of the Middle Ages first appeared in that same year, 1919. This entry was posted in Anarchism, Books, Historians, Huizinga, Johan, Landauer, Gustav, Revolutions 1917-1919, World War I, World War II and tagged WS by Walter Simons. Bookmark the permalink.